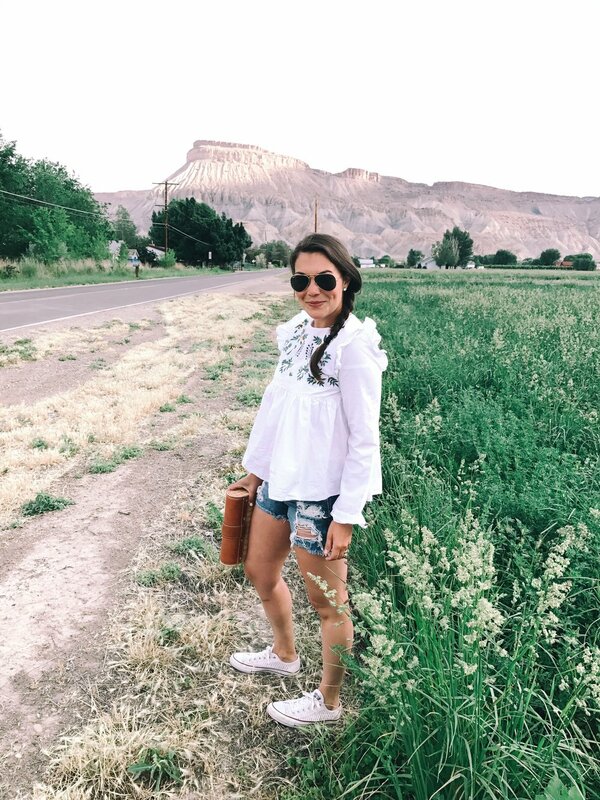 Denver Darling is a Denver-based lifestyle and fashion blog. 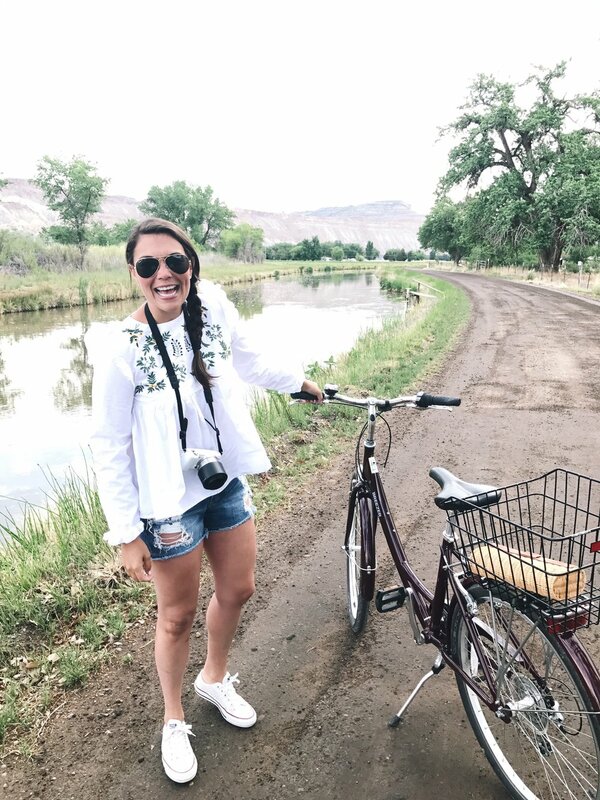 A girl's go-to guide to life, style and fun in the Mile High City - bringing big city style to Denver's laid back way of life. Focused and committed to bringing the latest in affordable fashion and stylish trends to you! In case you missed my Instagram story from last weekend. I wanted to be sure to fill you in on our fun filled road trip that we took over the long weekend. Until our road trip to Montana last summer, I had forgotten how much fun they are. When my sisters and I were little we would take one long road trip as a family a year. We would pack up our suburban, make a bed with sleeping bags on one row of the seats and listen to The Lion King on repeat (my poor parents). This was similar, except with two of Jonny and my best friends and we replaced sleeping bags with dog beds and The Lion King with Hamilton (poor Molly and Brandon). I guess some things will never change. We left Denver Thursday evening and stayed at our cabin in Silverthorne to get an early jump on the drive to Palisade Friday morning. Palisade is about four hours from Denver (3 from Silverthorne) so we got there just in time to enjoy lunch on the patio (with the pups) at Palisade Brewing Company. We checked into our adorable airbnb that was set on the sweetest little farm. 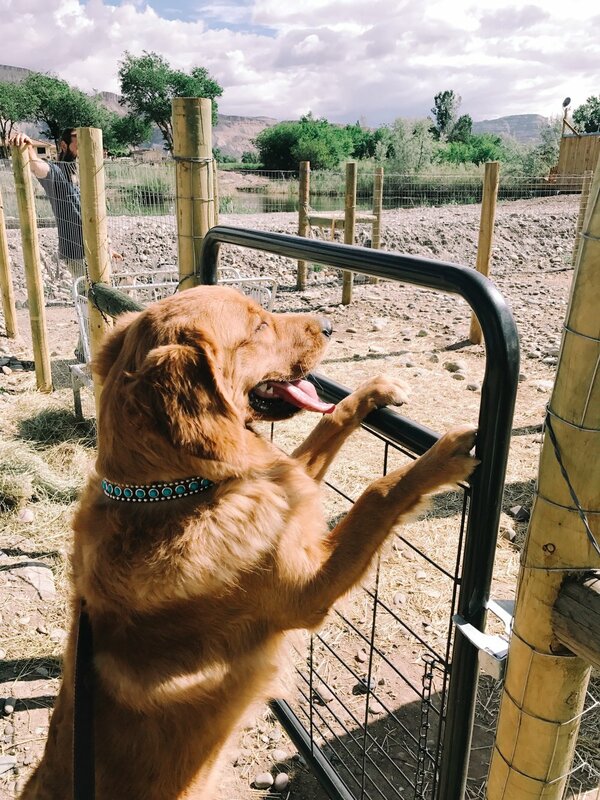 Our puppies had a blast playing with the baby goats on the property and swimming in the Colorado River right behind the house. 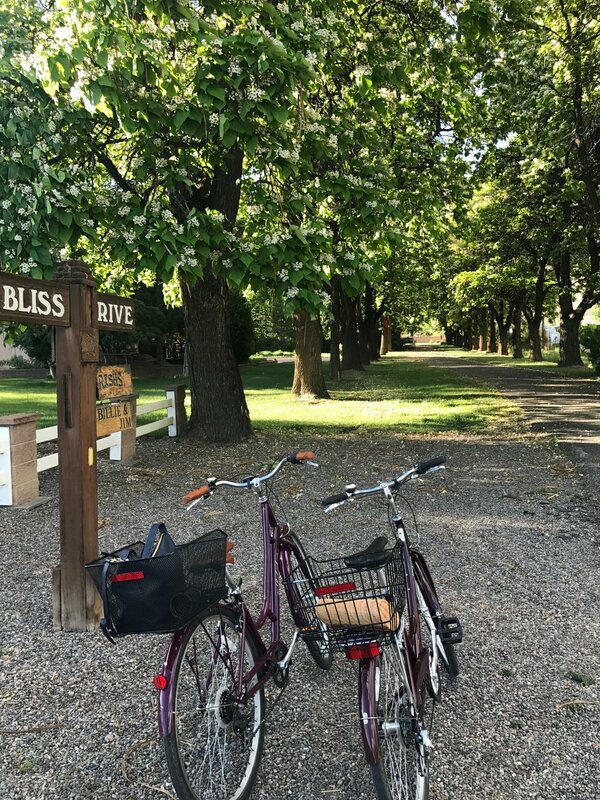 We reserved the rest of the afternoon for exploring the Palisade wineries (which I was pretty skeptical about)... We first picked up our cruisers from Rapid Creek Cycles - they were so nice and helpful mapping out our route and gave us so many wonderful recommendations - I can't recommend them enough. I had no idea the wine tasting would be so extensive in Palisade. I have always known that Palisade was known for their peaches, but I have never thought of Colorado as being hot spot for vineyards. Honestly, I don't know exactly what I was picturing? Something like 3 or 4 tasting rooms lined up in a strip mall, maybe? But that wasn't the case at all. The bike rental shop gave us a map with a 7 mile loop with wineries scattered throughout. I was still skeptical. After our first stop, I was on board, and after our second stop at the Meadery (honey wine) I was in love! The scenery could not have been more beautiful - pastel homes and buildings, lush gardens and wineries, rivers, and the prettiest backdrop all along the way. We are all already planning our next trip for the Wine Fest this fall. Before leaving Palisade Saturday morning, we took our time and grabbed breakfast at the Slice O Life Bakery (they had amazing peach and lavender lemonade!) and got on the road to Telluride. 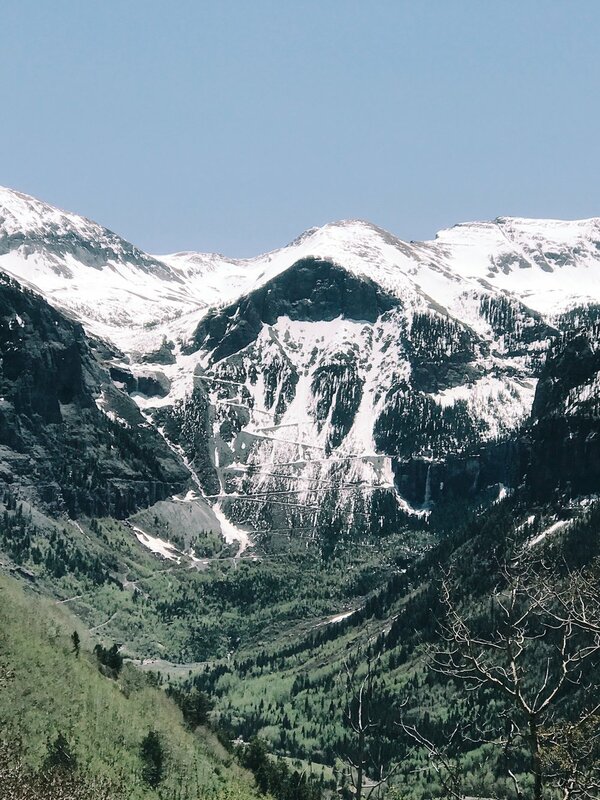 Telluride is another gorgeous 3 hour drive from Palisade through several small towns and over a scenic pass that drops you into town. We checked into The Lumiere. OMG. We were all so impressed with this hotel. The staff, the accommodations, and their doggy hospitality. Upon arrival, they upgraded both of our parties to ensure that we would have enough room for our pups to play. I have stayed in some pretty rooms before, but this was definitely one of the biggest! I feel like I always write about shoulder/mudd season in Colorado because it is definitely our favorite times to travel. You get beautiful weather and the mountain towns are still sleepy so you can find incredible deals too! The Lumiere is located in Mountain Village so we rode the free gondola into town for most meals/activities. Our first night we went to Sidework, a speakeasy in town, and had an early night before our hike Sunday morning. Sunday, we hiked the Jud Wiebe Trail, which was the perfect intermediate hike (about a 3 1/2 mile loop plus an extra mile to go back and see the waterfall). We had lunch in town afterwards at Brown Dog Pizza, the puppies snoozed outside with about 6 other dogs at the dog parking spots (so cute!). We also loved dinner at Oak 221 and our lunch on the way out of town at The Butcher and Baker. 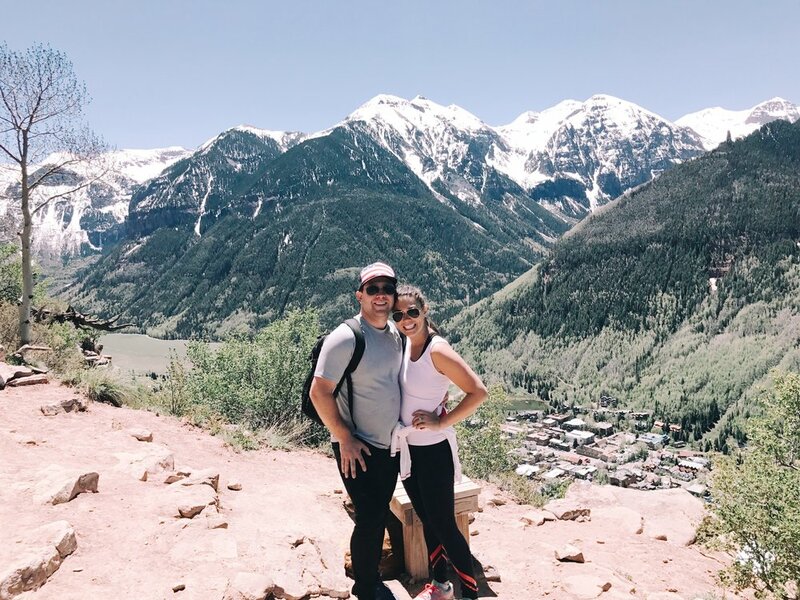 We all agreed that we could have spent weeks exploring Telluride. 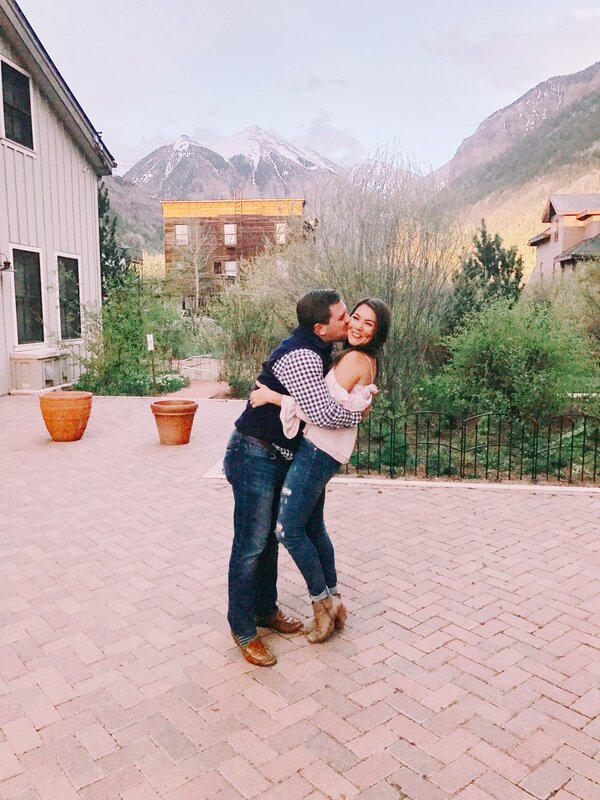 It is definitely my new second favorite mountain town (Vail will always have my heart). Enter your information to be notified of new posts! 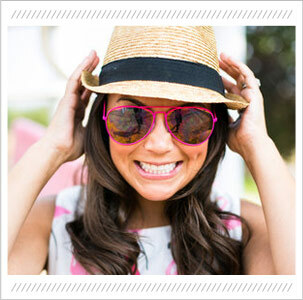 Thank you for subscribing to the Denver Darling blog!